In the past, many banks have shied away from providing both deposit and merchant transaction support for hemp businesses. Primarily, this is due to the intense cost of the regulatory environment of a business in the gray area of law. However, under this new legislation, hemp businesses are just normal, regular, legal businesses. At this point, a bank should have no barriers beyond the usual “know your customer” internal procedures to start banking for the hemp industry. Hemp is now a regular crop, but is there a timeline for agricultural guidance? The answer is unknown. Which brings us to the next question, what are the numbers going to look like? Unfortunately, the answer is still unknown. 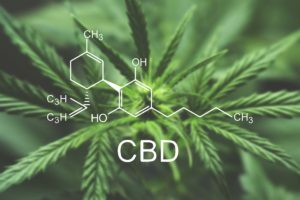 Some industry experts think that that hemp-derived cannabidiol (“CBD”) likely will continue to be one of the best growth opportunities in the cannabis space. Some commentary has suggested that there is an estimated 22 billion dollars to be made by the year 2022 from hemp and hemp-derived CBD products. What does that mean for main street retailers? It is unlikely that your local grocery store will be selling hemp products. This is partially because the current supply of CBD is finite; it’s going to take a lot of time for supply to catch up to demand. It is also because given the uncertain regulatory environment, larger retailers may be hesitant to jump in. Changes in how the FDA, USDA, and various states choose to regulate consumer hemp products, items that are currently on the shelf may need to be recalled to be in compliance. It is likely that larger retailers may wait to get in the game until these types of changes are more stabilized. What does this mean for CBD? Hemp products are legal. CBD from hemp is legal, but CBD from marijuana is not. It will be in the hands of the FDA to regulate the use of CBD in products, but the chemical itself is legal. It is still unclear how the product will be dispersed. Will it be like vanilla in cookies or like caffeine? It will be up to the FDA to make that decision. What will the states do? Most states are likely to keep current rules established under the Farm Bill of 2014 in place. Under this farm bill, the USDA will approve plans which are required to be put forth by the states detailing how the hemp industry will be regulated. The possibilities seem to be endless. Stay tuned to find out more and contact a Team DKB member today for any questions!